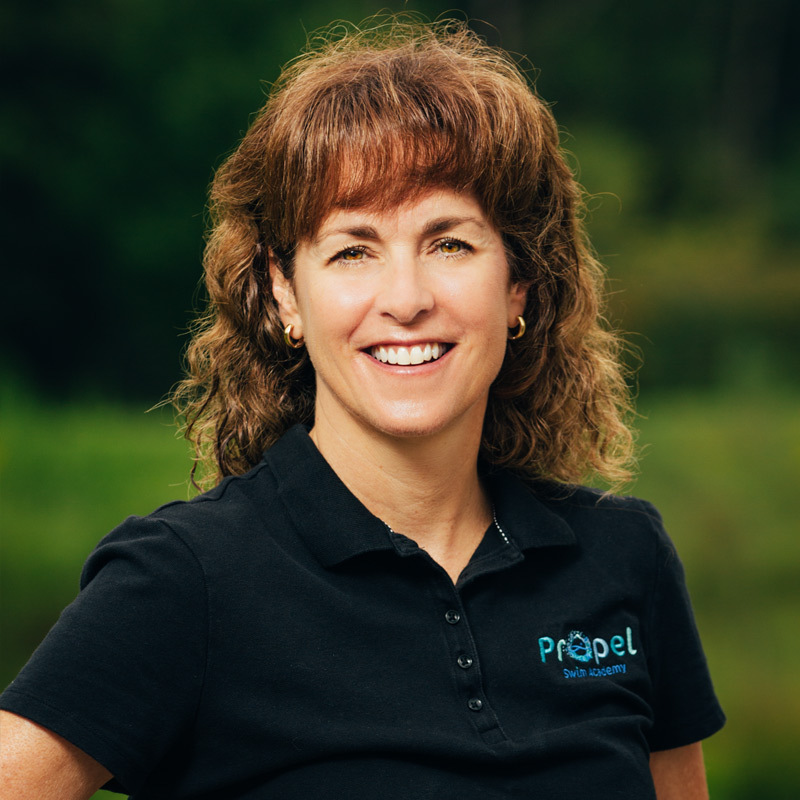 Linda is a mom, educator, and Propel Swim Academy’s passionate owner. She taught her first swim lesson at age 16 and has been involved in the swimming community ever since. Linda is a mom of six — four sons and two daughters, now, almost all young adults! She holds bachelors and masters degrees in education from VA Tech and has taught in public, private, and home-based school settings. 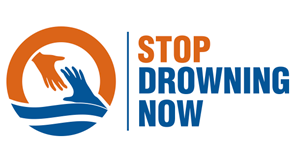 Linda is passionate about teaching children to swim, water safety, strong families (her son Nick, is our awesome Operations Manager) and the intersection of child development and swimming. These passions form the base of Propel’s unique blend of relational learning and excellence in swim education. Linda is committed to building a community of families who love to swim and who swim well together! When Linda is not working at Propel, you’ll find her spending time with her children, running (whenever and wherever possible), reading anything from novels to educational theory, baking her famous “ugly” cookies, and traveling. Linda lives in Vienna with her youngest daughter Grace and their bulldog Gus. Linda looks looks forward to greeting every single Propel child by name and celebrating their achievements: from putting their face under water to swimming 25 yards of Butterfly! Linda is grateful for the many opportunities to build and learn alongside the diverse South Riding community and is excited to meet all the new Propel Families! Nick has been involved in swimming his whole life. 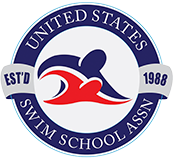 He began as a competitive swimmer in Northern Virginia, and moved on to teaching swimming at age 16. For the last 8 years Nick has been teaching swimming and training swim instructors. 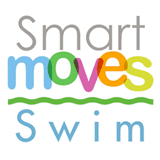 He started a company, Swim-2-U, in 2014 that he ran when he was home from college during the summers. 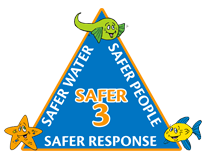 Swim-2-U provided swim instructors for community pools and country clubs and provided Nick with invaluable experiences serving the families in our area. Nick attended UNC Wilmington and earned his degree in Accounting from the Cameron School of Business. He also used his time in Wilmington, North Carolina to indulge in his passion for the ocean. Nick became enamored with the ocean and all it has to offer during the 6 years he lived in Sydney, Australia as a teenager. He loves to surf, fish, spearfish, dive, snorkel, and almost any other activity that can be done outside under the sun and in or around the ocean. Nick is also an avid traveller (ask him about his adventures…he loves to talk about them), football fan (Philadelphia Eagles and Ohio State Buckeyes), and in general loves the outdoors. Despite all of his interests, Nick’s true passion lies in teaching, and more specifically in teaching kids how to swim. In the pool, teaching children is where he feels he is the best version of himself, and considers it an amazing gift to be able to do something he loves every day. 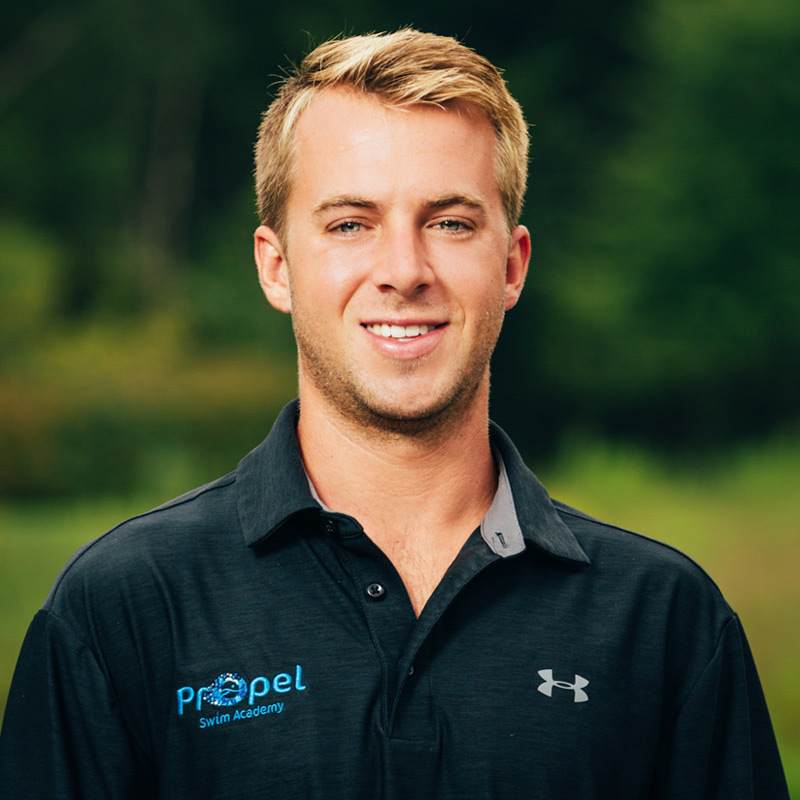 All in all, Nick is extremely excited to partner up with his Mom, Linda, to bring Propel Swim Academy to our community and give the gift of swimming to thousands of children! Suzy graduated from VA Tech with a degree in Physical Education and has spent the last 30 years working in the Sales, Marketing and Service Industry. 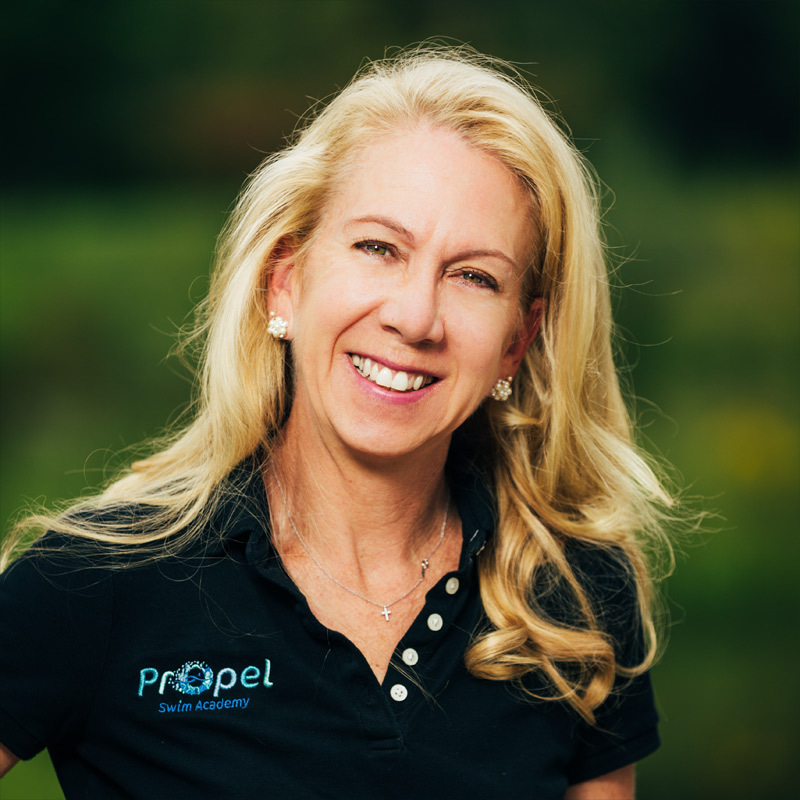 Two years ago, Suzy was hired to assist in all phases of Propel Swim Academy. On opening day, you will find her welcoming all our new families to Propel Swim Academy! Suzy just celebrated her 25th wedding anniversary with her husband Pete. They have two children, Dylan, who is a 2nd Lieutenant Army Ranger stationed with his new wife in Fort Bragg, NC, and Katy who is Studying Sports and Recreation Management at James Madison University. With both children gone, Suzy loves spending time with their Yorkshire Terrier, Ollie, swimming with her L4 Masters Swim Team and cycling on her Peloton Bike with her favorite instructors! Suzy can’t wait to meet all of the new friends and families at Propel Swim Academy. Her favorite motto…. “Choose a job you love, and you will never work a day in your life”.